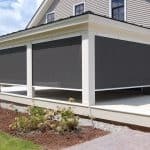 Exterior solar shades are an ideal way to cool your home’s interior and keep its furnishings protected from UV damage, without interfering with existing interior window treatments. When mounted to the outside of your windows, they deflect the sun’s heat and harmful UV rays before they enter your home. 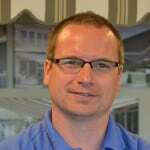 Because of this, exterior shades can be up to 40% more effective than their interior counterparts. 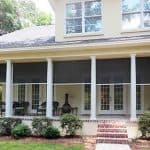 In addition, exterior roller shades are commonly used to enclose open porches and provide wind and weather protection. 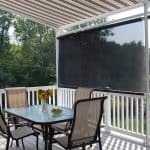 Imagine that, with the touch of a button, you could completely enclose your entire porch or screen room with retractable fabric panels. 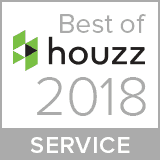 Designed to enhance exterior style and indoor comfort. 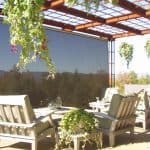 Are engineered to cover large openings up to 25’ wide and 16’ tall. Available in a wide variety of colors and options. 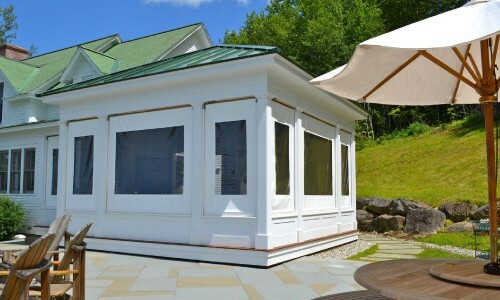 Built to withstand long-term sun exposure and provide long-life reliability. Ideal for reducing glare and protecting against UV damage.